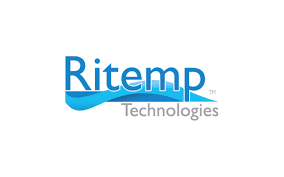 Ritemp™ is a revolutionary new mould cooling process developed by Ritemp Technologies Pty Ltd, Australia. Its primary objective is to overcome one of the key problems with the moulding process, namely variations in the surface temperature of the mould. Ritemp provides highly uniform mould temperatures regardless of part geometry. Hot spots are eliminated. To demonstrate the problem we show here a simple mould set up with conventional cooling using drilled channels.